Want to eat healthier and save money? The Healthy Savings program makes it easy. All of the featured foods are already on your card. Western Beef or Stop & Shop grocery store. Then scan your card at checkout. All of your savings are instant! It’s that easy. There are no coupons to click, clip, download or print. Your savings add up fast every time you shop. Not an Oxford Member? Learn more here . Anywhere Access. Download the mobile app for easy access to your shopping list, to review available savings, and to find a participating store that is convenient to you. Recipes. Now you can have new answers to the eternal question, "What's for dinner?" Whether you're cooking for one or the entire family, you can find nutritious, delicious recipes for many featured products. 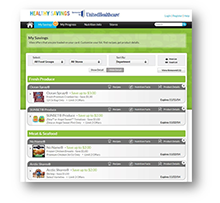 Simply go to the Shopping List page and select the Recipe icon next to a featured product to get some meal ideas. Food Group Nutrition Information. It is helpful to understand what you should be eating and why. Find nutrition information on each food group, and all of the featured products, so you can make the most out of every meal. Check Your Progress. Track how much you’ve saved and see how you compare to other members. Solutran® is a leading national payments processor with state-of-the-art electronic benefits transfer (EBT) technology. Solutran is committed to using its technology solutions to improve client business practices and help change the way America eats. 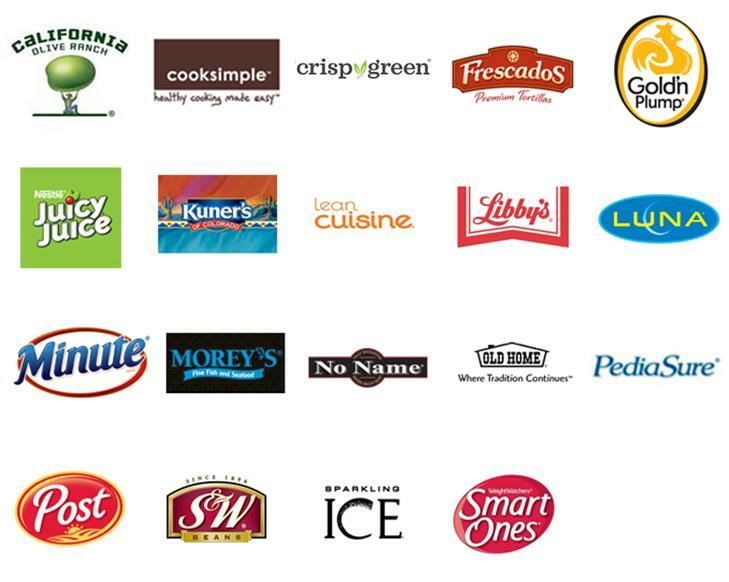 Our customized solution offerings include payment systems, substantiation platforms, and a proprietary auto-activating "smart coupon" system called S3 that enables people to save on healthier food options without having to clip, click, download, or print coupons. With S3, all savings are automatically loaded into participant accounts and can be accessed with a simple scan of a program card or mobile phone at checkout. The savings are applied immediately and print on the receipt. Solutran’s S3 technology serves as the supporting substantiation platform behind the Healthy Savings Program. Solutran is a National Strategic Partner of the USDA and a vigorous supporter of the Dietary Guidelines for Americans. To learn more about Solutran and its solutions, visit www.solutran.com and www.healthysavings.com. About Oxford: For almost 30 years, the Oxford family of companies has been a leading presence in this local market, offering a variety of products with a wide range of flexible health plan solutions designed to be affordable and broad provider networks, serving nearly one million members in Connecticut, New Jersey and New York. As with its affiliates, Oxford is dedicated to helping people live healthier lives and improving health care delivery for consumers. Oxford insurance products are underwritten by Oxford Health Insurance Inc. Oxford HMO products are underwritten by Oxford Health Plans (NJ), Inc. and Oxford Health Plans (CT), Inc. Administrative services are provided by Oxford Health Plans LLC. Thanks to participating food manufacturers, the Healthy Savings program is able to provide you discounts on healthier foods all across the grocery store. From established names to up-and-coming brands, each week’s featured products provide nutritious alternatives. Support your health by selecting featured products when you shop. 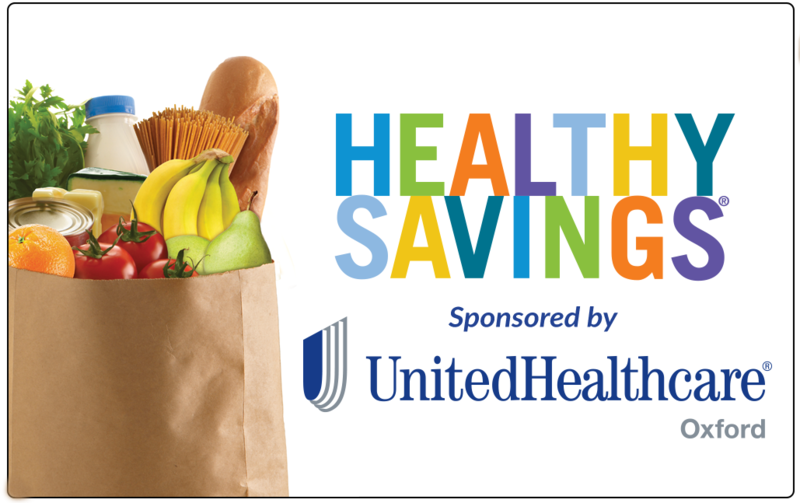 Use your Healthy Savings card today at any participating store location. 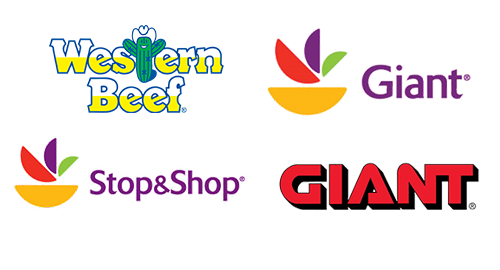 These popular grocery stores are demonstrating their commitment to your health by participating in the Healthy Savings program. 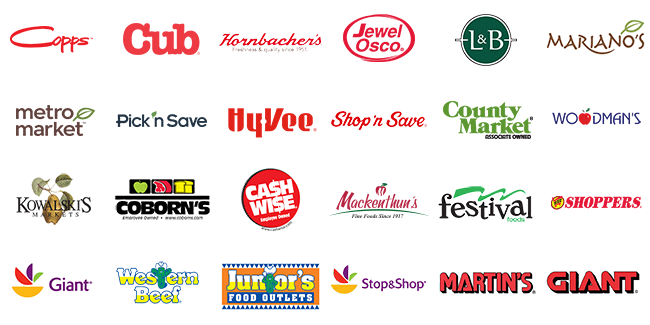 Shop at any (or all) of these fine stores…just scan your card every time you shop, and you’ll automatically save on healthier foods. The latest and most innovative expression of the dietary guidelines, MyPlate is the USDA’s new generation icon created with the intent of prompting consumers to think about building a healthy plate at meal times. 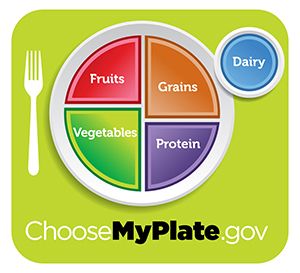 The new MyPlate icon emphasizes how eating a balance of fruit, vegetable, grains, protein and dairy food groups is the foundation of a healthy diet. For more information on MyPlate, consumers can go to www.choosemyplate.gov. The Healthy Savings® program is designed to help members take a step towards a healthier diet. While it is not offered as a total health solution, by promoting only foods that rank in healthiest 1/3 of the items in a typical grocery store, the program is a strong move in the right direction for most members. Many of our members already eat healthy diets. And even more are trying to eat healthier, but with busy schedules are challenged to find the time necessary to research and seek out healthier options. a) Each product is initially rated using the independent, rigorous and nationally-renowned Guiding Stars® nutrition guidance system, where a patented scientific algorithm measures the nutrient density of each item. b) Healthy Savings then uses its own proprietary qualification criteria aimed at allowing only the top 1/3 of healthy foods in each major food category to be promoted within the program. This gives members confidence that every product promoted in the program is a healthier alternative to the majority of products they could purchase. 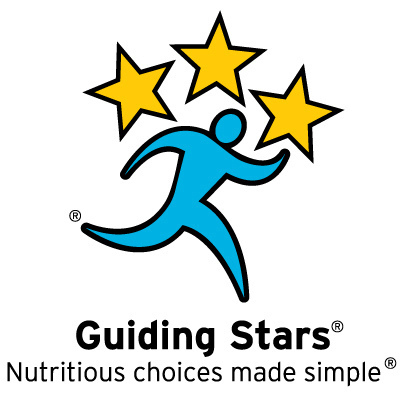 Guiding Stars® is a nutrition guidance program that rates the nutritional quality of food and assigns a score based on a system of credits and debits. Using the Nutrition Facts panel (or the USDA’s National Nutrient Database for fresh meat, seafood and produce) the patented Guiding Stars algorithm determines the amount of essential vitamins, minerals, fiber and whole grains versus saturated fat, trans fat, cholesterol, added sodium and added sugars. The more nutritional value a food has, the higher the score it receives. Guiding Stars is objective, based on consumer research, and not influenced by price, brand or manufacturer trade groups. The Guiding Stars program is grounded in evidence-based nutrition science. The Scientific Advisory Panel for Guiding Stars—consisting of leading nutrition science and public health experts—consults the current dietary guidelines and recommendations of leading national and international health organizations such as the U.S. Food and Drug Administration, U.S. Department of Agriculture, National Academy of Sciences and the World Health Organization. The Guiding Stars program has received patent protection in the U.S. (US Patent No. 7,974,881 and U.S. Patent No 8,626,796) and Canada (Canadian patent No 2,652,379). Any Healthy Savings offer with a Plus Produce Perks symbol ( ) means that you save twice - (1) with the discount on the purchased item, PLUS (2) an additional 25% of the discount amount that will be applied to purchases of fresh produce. Review your shopping list for promotions with this symbol ( ). When you purchase the qualified products and scan your Healthy Savings card, Plus Produce Perks will be automatically loaded onto your card and applied immediately or saved for whenever you purchase fresh produce.